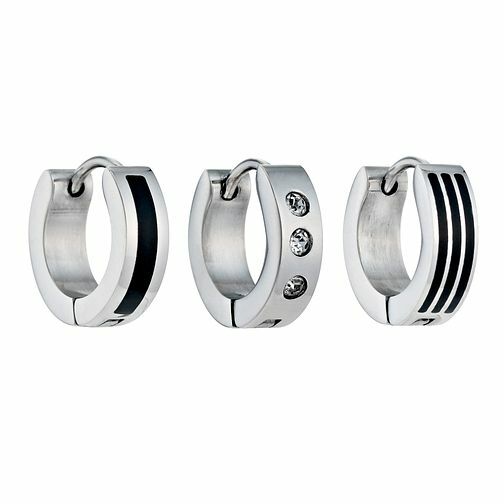 Men's stainless steel set of three single earrings. Featuring both stone set detailing and black stripe design. A contemporary gift for any occasion. Men's Set Of 3 Stainless Steel Earrings is rated 4.9 out of 5 by 7. Rated 5 out of 5 by Anonymous from Excellent Nice earrings. Excellent quality. Easy to put in and really comfortable to leave in.